Not all bento lovers are in it for the cute things, but I know that quite a few of you are. 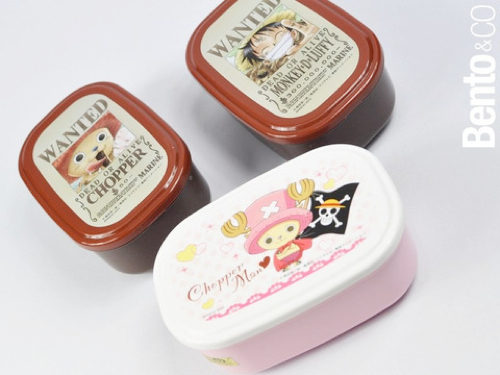 So here are some exceptionally cute bento related items, from tools to boxes. 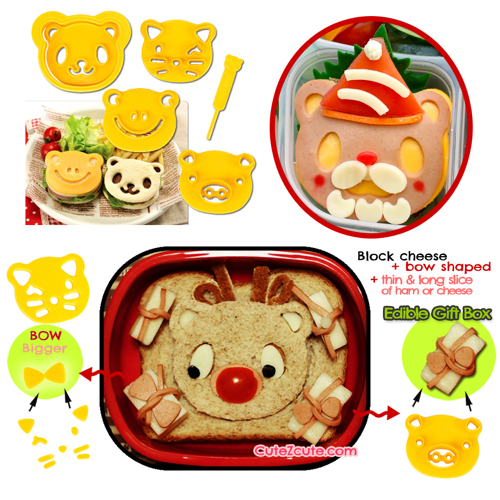 Out of the numerous cute food cutters out there to prettify your bento, the Cutezcute Animal Friends Food Deco Cutter and Stamp Kit stands out, because it’s designed to work well with the typical foods used for decorative purposes in the U.S. such as sliced cheese, deli meats and bread. It’s a nice size for cutting out a cute little sandwich for example, as shown in the picture. Available from Amazon.com . The CuteZCute site  has an instructional video plus many pictures showing how people are using the kit. Sometimes you need to keep your bento cool, for taste or safety purposes. That doesn’t mean that your ice pack has to be boring. 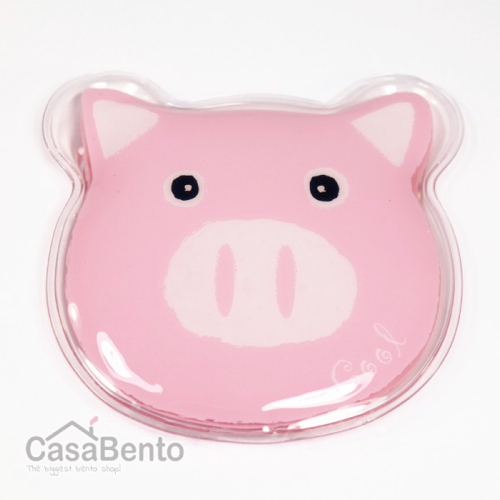 Ice packs from Japan come in all kinds of cute shapes, such as thie piggy ice pack. Available from CasaBento . Decorative picks are a great way to add some cute to your bento. There are so many possibilities out there, from picks specifically meant for bentos to ones used for cupcakes. 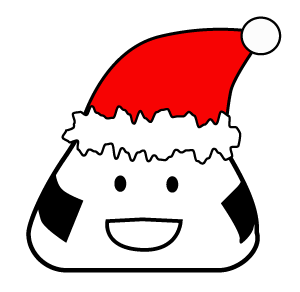 A set of pics would make a great stocking stuffer for a bento fan. I’ll just pick one set that caught my eye - it actually has tiny versions of typical bento foods such as a octopus sausage and an ebifurai (deep fried shrimp) - all with smiley faces of course. Available from All Things For Sale . 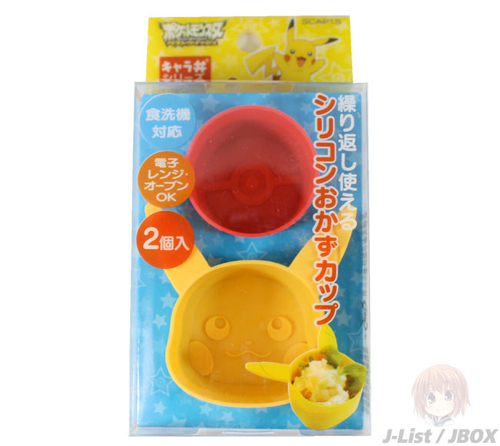 Food cups are also an easy way to add a bit of cute to your bento. These ones are shaped like Pikachu. Available from J-List . 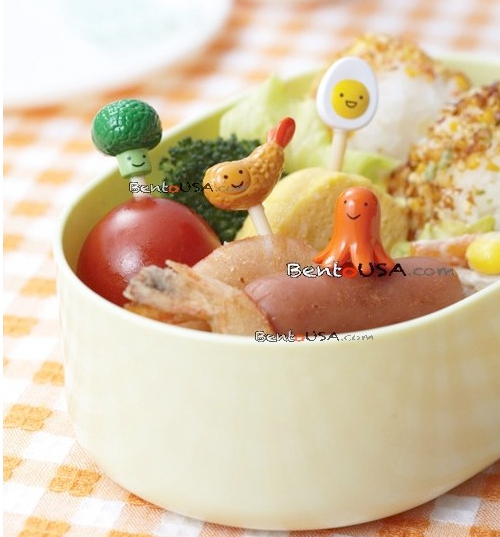 And of course, the easiest way to cute-ify your lunch is with an adorable bento box. 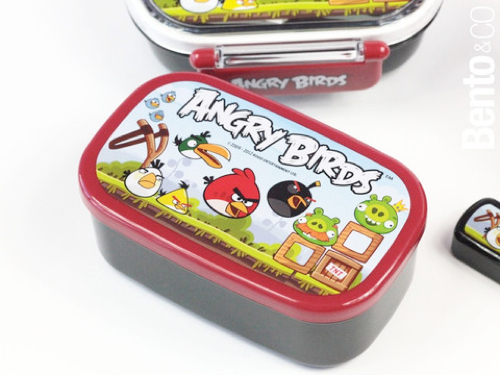 And, these are surefire (pardon the pun) winners for sure: Angry Birds bento boxes! Available in several sizes and shapes from Bento&co . They also have Angry Birds chopstick holders, an Angry Birds carrying bag , and a complete Angry Birds bento set . What’s cuter than a panda? A baby panda of course. This Baby Panda bento box is, just, too cute for words. Available from J-List . 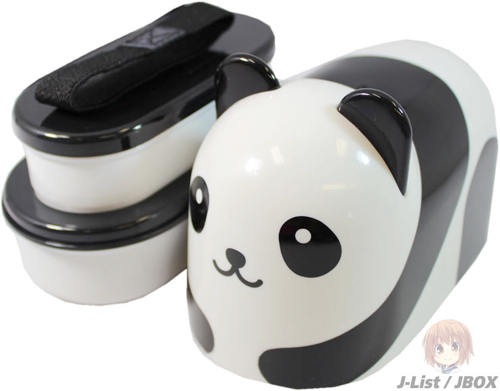 They also have several other panda themed bento items  for the panda lover in your life. There are of course many manga or anime themed bento boxes, but the most popular series right now in Japan is probably One Piece. Here are a set of nested bento boxes - a very useful format, I might add - from Bento&co , available in Luffy and Chopper versions. Just a few years ago, bento boxes available outside of Japan tended to be either very cute or quaintly traditional looking. But these days there are a whole slew of sleek, modern looking boxes out there that are suitable for adults of either gender, as well as children with sophisticated tastes. 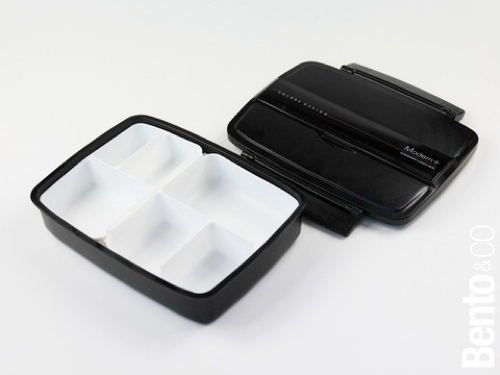 Last year I reviewed an adult sized, multi-compartment bento box  that I thought was ideal for bento beginners. Sadly that box is out of production, but there’s a replacement: the Shikiri bento box . (Shikiri means ‘divider’ in Japanese.) I’m hoping to get a full review up of this box shortly, but in the meantime, it’s a great box for people who like to divide their food up into little compartments. Available from Bento&co . 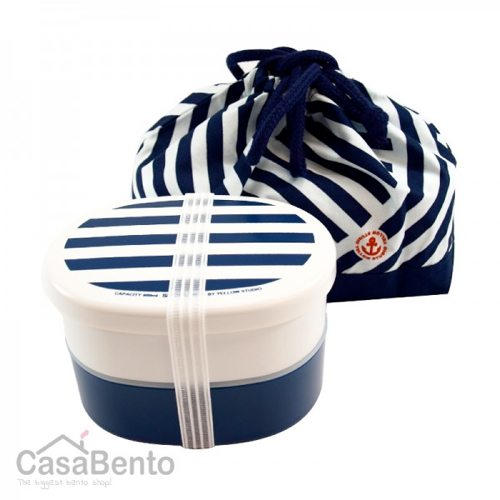 Monbento is a French company who designs sleek, sophisticated bento boxes in bright modern colors. Any of their color combinations are great, but I like this grey-and-white 2 teir version, which is suitable for men or women. Available from Amazon.com , Amazon UK , Amazon France  and Amazon German . For pure practicality, you can’t beat Lock and Lock boxes. 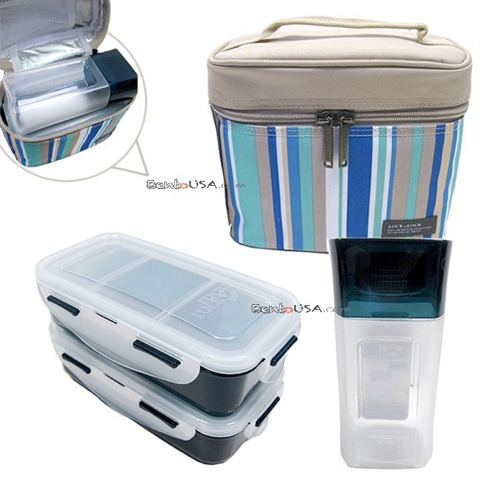 This set packages together 2 Lock and Lock bento boxes with a carrying bag and bottle for under $20 - a pretty good deal. Available from All Things For Sale . LunchBots stainless steel boxes are a JustBento favorite. One drawback to them up until now has been that you can’t really pack leaky food in them (see my in-depth review of the Quad box ). 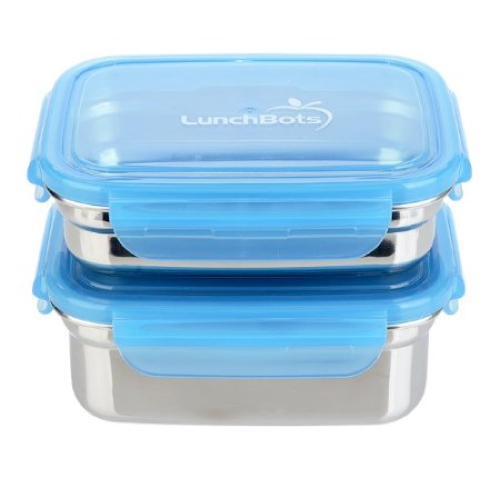 But LunchBots now has a model called Click that seals airtight, with a clip-on plastic lid. Available from Amazon.com  in two sizes - the one pictures here is the Small, which should be fine for most bentos. And speaking of clip-on lids, Innobaby is a new company to me. They make these very nice looking two-tier boxes with a large clip. I am guessing from the name that they are marketed towards parents with small children, but I think they are perfectly adult-appropriate too. 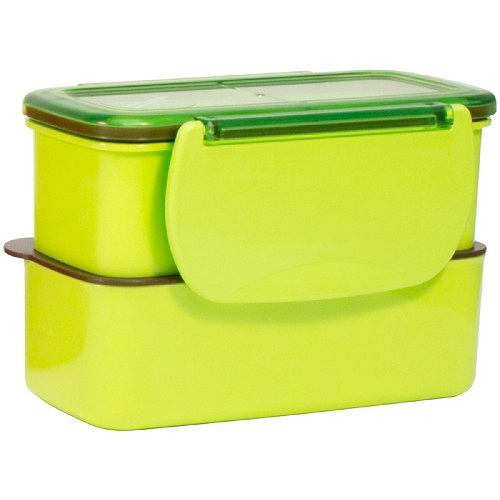 Available in three colors (the one pictured is Honeydew), from Amazon.com . Bento making doesn’t need any special equipment beyond what you already have in your kitchen. But there are some tools that are nice to have, and are fun too. I’ve had an old version of the Benriner food slicer/shredder/grater for like, decades now. It’s a wee bit stained from all the carrots and things I’ve sliced and shredded with it, but it still cuts as well as ever. 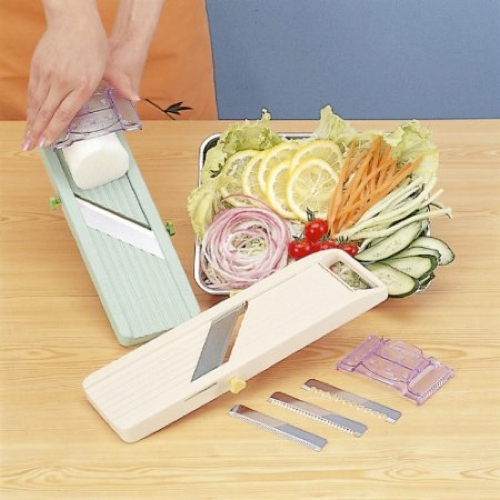 It is a marvelous tool for bento making or any other cooking. There are several models available, but this one is from Amazon.com . 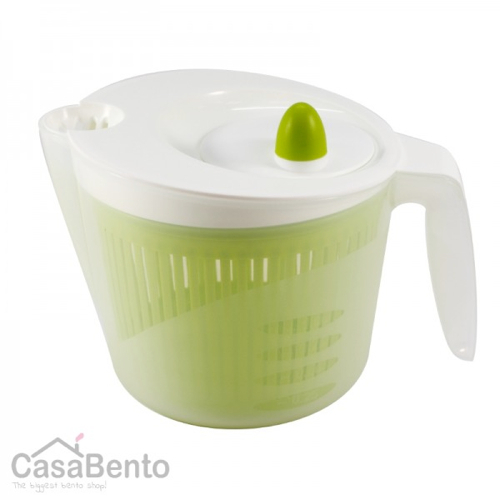 For times when you want to wash and dry a small amount of greens or herbs, this little salad spinner looks great. It has a pouring spout so you can drain off the water easily, and doubles as a measuring cup (in metric of course, but hey - metric is useful to have even if you are in a land of non-metric). Available from CasaBento . I’ve taught you how to make a bento sized tamagoyaki (omelette) in a frying pan , but I know some of you yearn to make a perfectly squared off tamagoyaki, like the kind you see on Japanese bento blogs. 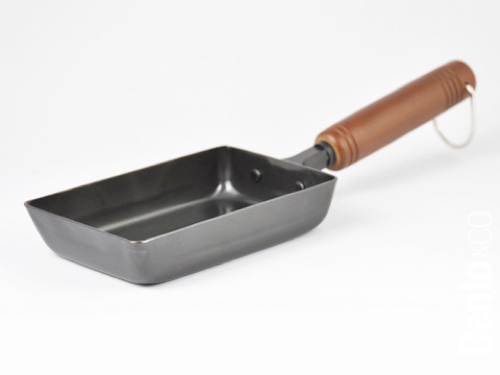 For that you need a tamagoyaki pan. There are several available out there from various vendors. Just beware of the really cheap ones — you do get your pay for. You want a nice slick non-stick surface and a stable bottom. If you have made the switch to induction cooking, make sure the pan is IH-capable too. The one pictured below is from Bento&co , and fulfills all of the above. And if you are looking for a mega-box of bento making goodies for your favorite bento maker, this gift set from Bento&co  looks great. 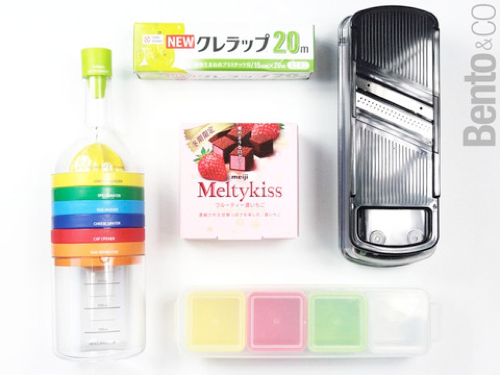 It has a Benriner type mandoline, a roll of narrow Krewrap plastic wrap (the narrow width is great for wrapping up small portions, and Krewrap is like the sturdiest plastic wrap ever), a Cube Stocker  to store tiny portions of food, an intriguing tool called a Bin-8 , and a box of delicious Melty Kiss chocolates. Heck I wouldn’t mind getting this set myself for Christmas ^_^. Available from Bento&co . 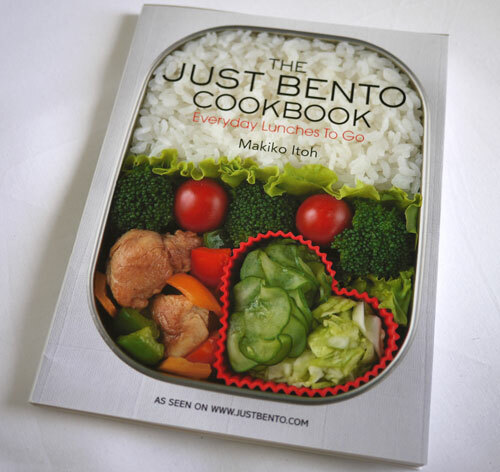 Last but not least, if you don’t have the Just Bento Cookbook  yet…what are you waiting for? It’s the Best Bento Book Ever. (I may be slightly biased. ^_^) In any case, I do think it would make a great present for someone starting out with bentos, or just curious about them. The Just Bento Cookbook is available from Amazon.com , Amazon UK , Amazon Germany , Amazon France  and hopefully your favorite local bookseller.